Some time ago, I ran into a Veteran at the grocery store. He was wearing his ‘Vietnam Veteran’ hat and… as I always do… I made a point to go and ask him where he served. I told him about my law practice representing veterans before the US Court of Appeals for Veterans Claims (CAVC), and I told him about the work I’ve done on the Veterans Law Blog® since 2007. The answer I gave him was shorter than I liked because we were in a grocery store checkout line. But here is what I would have told him if I had the time to give him the full “scoop” and talk to him about how advocates, the VA, the BVA and the CAVC define service connection. There are 5 Paths to Service Connection. What you are ultimately trying to prove in any VA service connection disability compensation claim is that you have a current disability that is related to your military service. Most veterans do not have a problem proving to the VA that they have a disability. And most veterans do not have difficulty proving what happened to them in service. Where most veterans run into trouble with the VA is when they try to show the relationship between the current disability and what happened to them in service. The VA won’t tell you all the ways that you can prove to them you have a VA service connected disability. Take a look at the VA website and see exactly how LITTLE the VA tells you about how to prove your claim for service connection of a current disability. As an aside, I’ve often wondered about this – what does the VA have to hide? Why are they so worried about teaching veterans how to prove a VA claim for service connection? It seems rather silly for the VA to tell Congress and the Courts that it has some non-adversarial claims process where it helps veterans recover the benefits they are entitled to as a result of a military service connected disability, while at the same time not teaching veterans about the law, process or regulations. As a wise judge once said…if you act like you have something to hide, you probably have something to hide. So, without any further delay, let’s take a look at the 5 different ways that you can prove up a VA service connected disability or, better said, prove the relationship between your current disability and your military service. This is, by far, the most common way of proving service connection. There are 2 ways to do it. In the first way, you have a medical expert explain to the VA the relationship between your military service and your current disability. The VA will often send you out for a C&P examination, but the C&P system is designed to deny all but the simplest of claims. You can also get your own private medical opinion to help establish nexus. In the second way, you do not need an expert medical opinion connecting the current disability to military service. You prove service connection of your disability by showing what is called “continuity of symptomatology“: that you have had continuous symptoms of your disability from service to diagnosis. You can prove a claim like this using only lay evidence – you do not need to provide a medical expert opinion. That’s the upside. There are two downsides to this type of claim: it is only available for a limited number or type of conditions, and the VA and BVA often overlook this theory of service connection, requiring years and decades of appeals to the CAVC. The second way to establish your disability and military service are related is by showing a link between a service-connected medical condition and another disability. The “catch” is that the link between the two conditions has to be cause and effect: the disability that has been service connected caused the second disability. This type of service connection cannot be proved by lay testimony, except in the rarest of rare situations. Nearly every time, you will need a medical expert opinion to establish secondary service connection. Learn more about secondary service connection by watching the video at this link. #3: Service Connection due to Aggravation. This is, technically, a form of “secondary” service connection. This type of claim requires a veteran prove that the service connected disability aggravates, or worsens beyond natural progression, a non-service connected disease or disability. For example, if you have service connected sleep apnea, and non-service connected PTSD, you can often argue that the sleep apnea aggravated your PTSD or made it worse. You will invariably need both lay evidence and medical evidence to establish service connection using an “aggravation” theory. CAUTION: do not confuse proving service connection by aggravation with the presumption of aggravation. The presumption of aggravation applies when a veteran has a pre-existed condition noted on a military service entrance examination. That condition is presumed aggravated by military service unless the VA can provide clear and convincing evidence that the condition got worse not because of military service, but because of the natural progression of the disease or disability. Proving service connection is all about proving the relationship between your current disability and your military service. Sometimes, however, the law itself provides that relationship. Such scenarios are known as “presumptions” in the law. Some presumptions – like the presumption of soundness, the presumption of aggravation, and the presumption of regularity are procedural or evidence related legal presumptions. 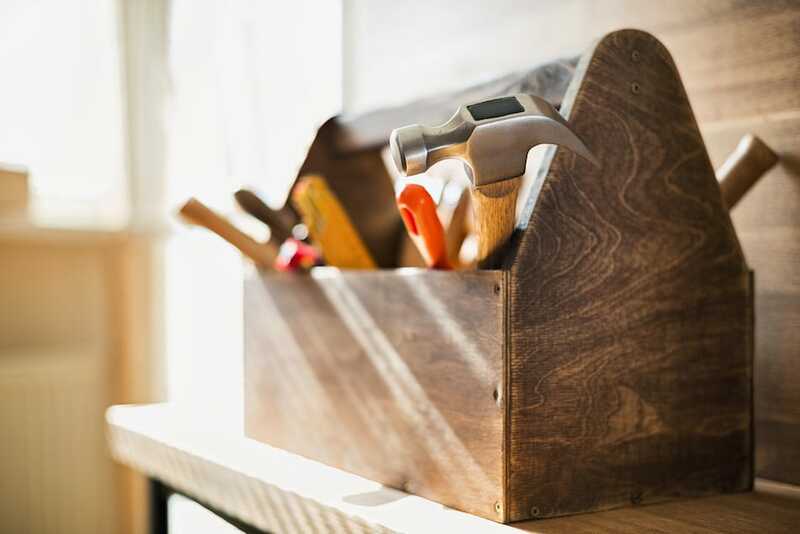 “1st year presumption.” Some conditions, when they present to a compensable degree within the first year following service, are presumed service connected. The most famous presumption is the Agent Orange exposure presumption, which is actually comprised of 2 separate presumptions: based on dates and locations of service, your exposure to Agent Orange can be presumed. And, if you have Agent Orange exposure – presumed or actually proved – if you have specific disabilities those will be presumed related to the Agent Orange exposure. The Camp Lejeune presumption – presuming that certain diseases are related to proven service at Camp Lejeune in a certain time range – is probably the most recent legal presumption. There are other presumptions, and this is not the post to go in depth into all of the presumptions. The above are examples meant to explain what presumptive service connection is. #5: Disabled during VA medical treatment. The fifth and final method of proving that a current disability is related to military service doesn’t really have anything to do with military service. If you are disabled or die while receiving VA medical care, the resulting disease or disability will be treated as if it is service connected. Service connection by reason of medical malpractice – a so-called Section 1151 claim – is incredibly complicated, incredibly individualized, and often requires knowledge of state law in the state where the injury occurred or the veteran lives. 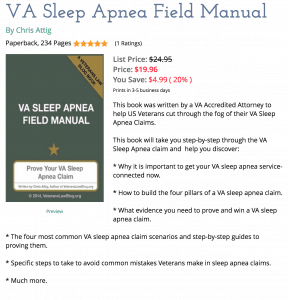 For that reason, I don’t go into depth on Section 1115 claims, because you are better off talking to an experienced VA medical malpractice advocate. One of my favorite advocates for these types of claims is Erin Steffin. Tell her Chris Attig sent ya’. 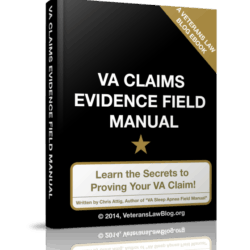 Want to Learn How to go about PROVING service connection in your VA Claim? 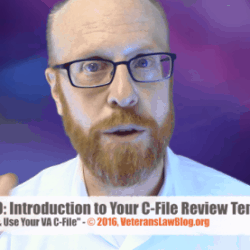 Are you ready to learn how to actually PROVE service connection in your VA claim or appeal? I have prepared an online video training class for you to use. This 5+ hour course is loaded with information: I share with you a decade of experience proving service connection for thousands of veterans, and have shared all sorts of forms and examples. 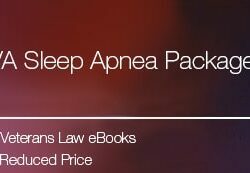 The training module is available for purchase on the Veterans Law Blog® by clicking here. Once you buy it, you can come back and watch it over and over again, as many times as you like. You are not going to find service connection training this thorough anywhere else.